(Phys.org)—A team of researchers form the U.S., Denmark and France has created a report regarding the creation and use of software meant to give exploratory robots in space more autonomy. 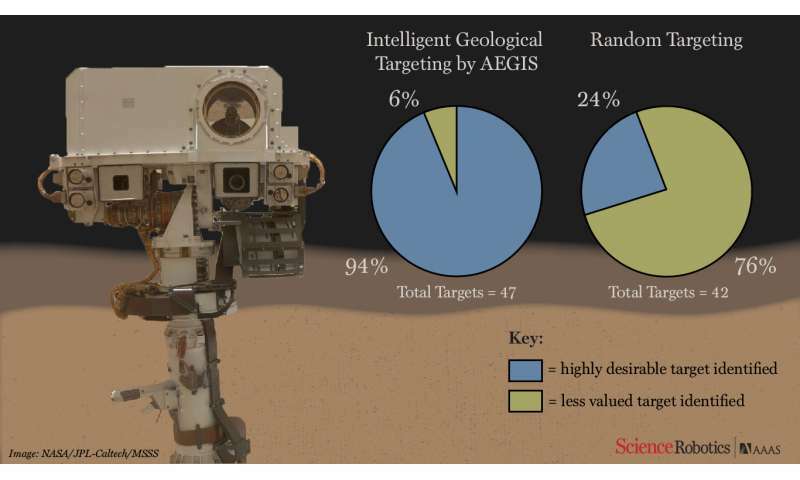 In their paper published in the journal Science Robotics, the team describes the software, called Autonomous Exploration for Gathering Increased Science (AEGIS), and how well it performed on the Mars rover Curiosity. Because of their limited computing power and distance from the Earth, space scientists believe that it would be advantageous for exploratory robots to have the ability to select which things to study. It would also allow for more research to be done when a robot is not able to communicate with Earth, such as when it is on the opposite face of a planet. Without such a system, a robot would have to scan a region, photograph it, send the photographic images back to Earth and then wait for instructions on what to do. 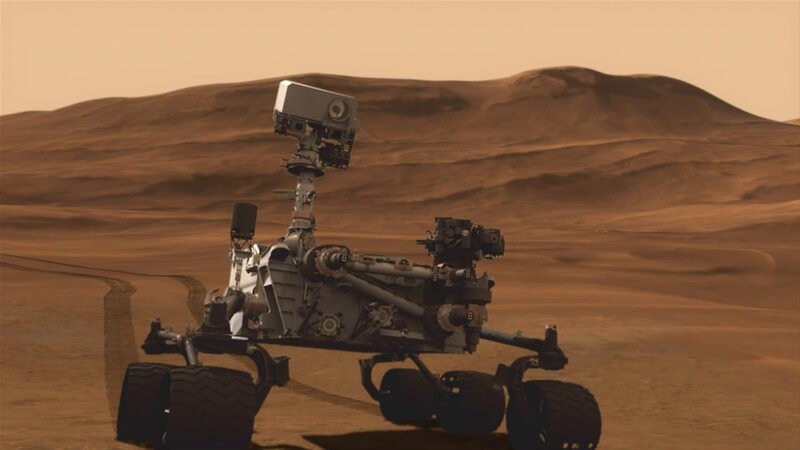 With such a system, a robot such as Curiosity could scan the horizon, pick an object to study and then drive over and study it. 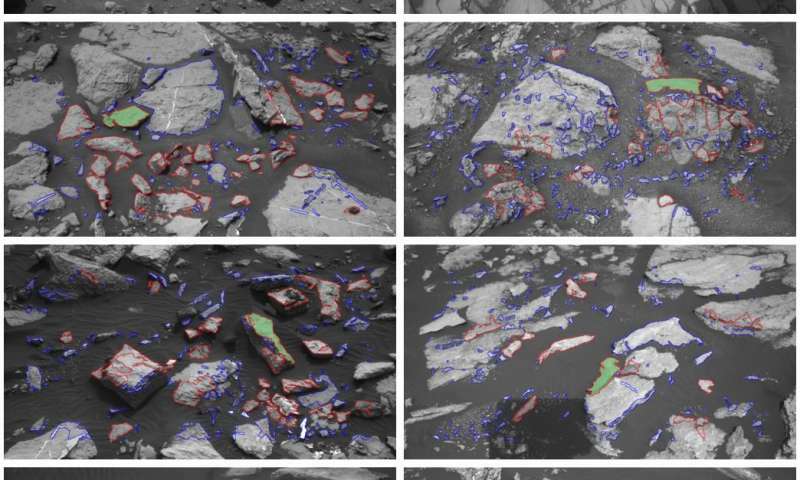 This approach would save a lot of time, allowing the robot to study more objects before its useful lifespan expires. Because of that, NASA commissioned a team to create such software, which eventually became AEGIS. The software was tested and then uploaded to Curiosity in May of 2016 and was used 54 times over the next 11 months. 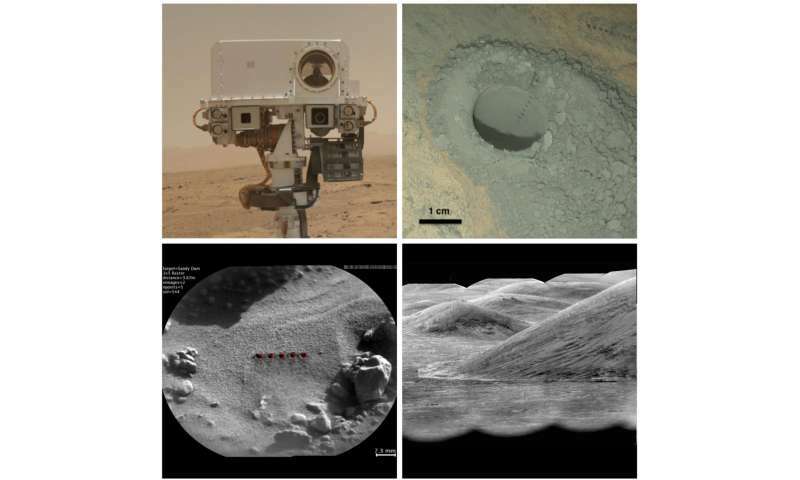 The software allows the rover to control what has been dubbed the ChemCam, which is a device that is used to study rocks or other geologic features—a laser is fired at a target and then sensors measure the gases that occur as a result. The researchers report that they found the system to be 93 percent accurate compared to 24 percent without its use. The software, they claim, saved many hours of mission time, which was used for engaging in other useful activities such as studying meteorite content. 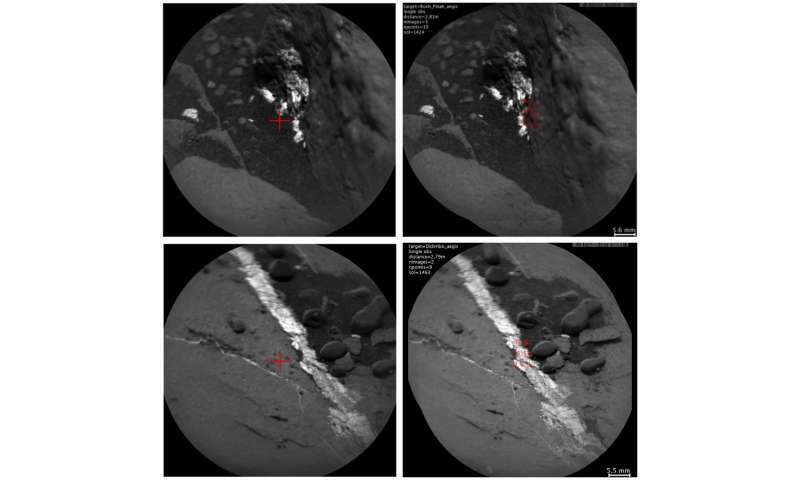 They also report that the software allowed for an increase in ChemCam targeting from 256 per day to 327, which meant that more data was collected in the same amount of time.